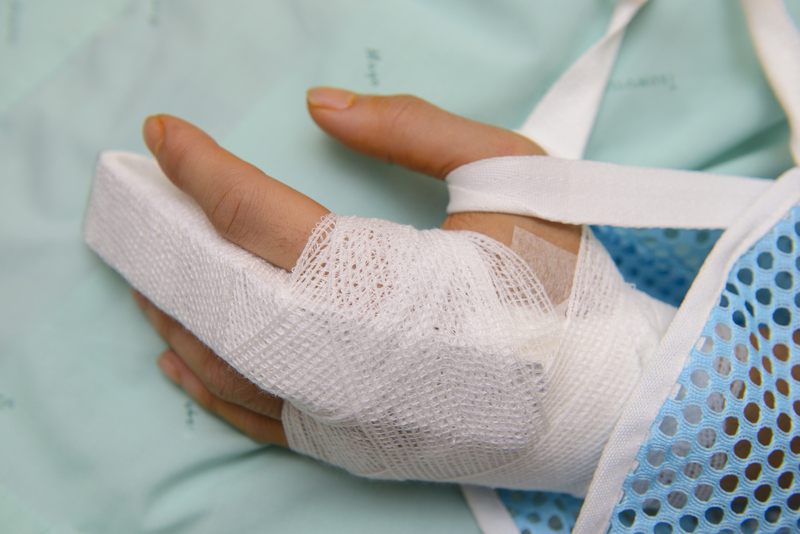 While rarely a serious injury, broken finger bones can prove to be both painful and temporarily debilitating. Like any injury, however, they need to be treated correctly to ensure a fast and full recovery. Fractures and breaks of a phalanx, or finger bone, account for around 10% of all fractures across America. As far as sporting injuries are concerned, this is, in fact, a much higher percentage. Especially regarding hand-based sports. To determine what injury has been received, an x-ray is often the only way to be certain. A consultation with a Sports Physiotherapist is also advised, especially for more severe injuries. This will help assess any potential ligament damage which could affect mobility after the bone has healed. Broken bones can generally be divided into two types. Stable and unstable breaks. In most instances, both fractures and stable breakages can essentially be treated the same. When a bone has been displaced after being broken, the recovery process becomes far more complicated. To discover the extent of auxiliary damage in the finger, a CT scan or MRI scan may be required to further evaluate the injury. The most severe, displaced type of breaks require surgery to pin the pieces back in place. Where the broken bone is too small for this technique, a piece of wire will be used to hold the pieces in the correct position. For the vast majority of broken fingers, a more conservative, non-surgical approach is perfectly sufficient. This treatment is made up of a four-point action plan referred to as R.I.C.E, Rest, Ice, Compression, and Elevation. As one of the most frequent injuries suffered from playing sports, finger injuries are often overlooked with a sense of casualness. Although playing through the pain may help your team, it certainly won’t aid a quick recovery. Towards the end of the recovery period, some sports can be played if aided by strapping but this should be done strictly with the consent of a medical expert. As soon as the injury is received, measures to reduce swelling are advised. Putting ice on the injured finger is the simplest and quickest way to do this. While not everyone has instant access to an ice pack, a chilled drink or anything else cold and clean can be used in place. To further reduce swelling and dull any pain, anti-inflammatory medication can also help. Wrapping the finger with a compression bandage is a further way to ease swelling. Using either a splint or “buddy” taping the finger to an adjacent digit can also aid the recovery. Furthermore, this can additionally provide protection and rest to the injured finger. Similar to a compression bandage, a sling is another way to hasten recovery. Keeping an injury above the height of your heart will also help to reduce any swelling. When sleeping, you can also rest your arm on the pillow for a similar outcome. For further information on how to identify and recover from a broken finger, seeking personalized assistance from an orthopedic hand specialist can be hugely beneficial. While it can take between 6-8 weeks for a bone to fully heal, fractures in younger athletes can fuse quicker. Once the bone has united, muscles and ligaments around the fracture site often need to be re-strengthened. In some cases, this can take up to three or four months to restore previous levels of strength and dexterity. This can be aided through rehabilitation which may include massages and exercise. However, they should only be attempted through professional guidance as poor technique and incorrect therapies can impede recovery. Dr. Dipaolo is an orthopedic surgeon specializing in minimally invasive and arthroscopic surgical procedures.